An 18% protein high density pellet specifically formulated to be fed to dairy cows at grass. Balanced proteins and a full mineral package are included to ensure milk quality. A 16% protein pellet designed to be fed to dairy cows on high quality grazing. A comprehensive mineral package is included. 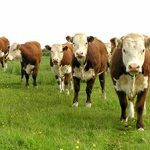 A 6mm 16% protein pellet designed for grazing stock, including good levels of cereals and quality proteins to give support for the growing animal. An 18% protein high quality calf pellet designed for the first stage of feeding. 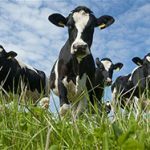 High quality cereals and proteins combined with a complete mineral package help ensure maximum growth & bloom to calves. This pellet may be fed ad lib or on a rationed basis. 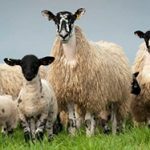 An 18% protein ewe feed available in either pellets or roll form, suitable for feeding to prolific lowland ewes in combination with forage. Good quality proteins and cereals are included to help ensure good milk production. 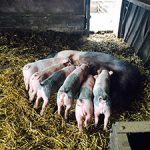 A 16% protein ewe feed available in either pellets or roll form. 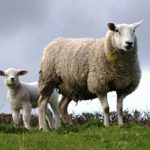 Designed for feeding to lowland ewes alongside very good quality forage, also suitable for feeding to hill ewes where nutritional demands are not as great. An 18% protein pellet designed for feeding to lambs from birth to 3 months of age. Good levels of cereals and quality proteins are included to ensure maximum performance. A 16% protein pellet to be fed to growing and finishing lambs, quality raw materials are included to give good flesh and bloom, ideal feeding for hoggs “Grown on” to breeding sheep. A high energy 14% protein pellet designed specifically for feeding to finished lambs either ad lib or on a rationed basis. Care is taken with this product to ensure safety with digestion. An 18% high enery sow roll designed to be fed during lactation. Good levels or cereals, quality proteins and minerals are included to ensure good milk production. A 16% protein pellet providing a comprehensive nutritional package for maximum growth, wheat and barley are included providing good levels of digestible energy with good balances of protein and minerals. 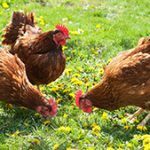 An 18% high cereal based poultry pellet for laying and rearing poultry, fully mineralised with quality proteins.